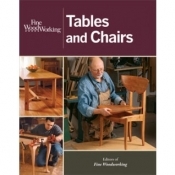 The dozens of practical project books in this section cover how to build just about every type of furniture under the sun. Have fun! And please don't hesitate to contact us if you need any assistance locating the right books for the project you have in mind.